The Firefly 2 is one of the most innovative vaporizers ever released. It features on-demand heating for almost instant vapor production and can be customized using an App and your phone for a more personalized session. How it Works – Firefly 2 Let’s have a look at the Firefly 2 vaporizer. This innovative unit features on-demand convection heating to create almost instant vapor production. 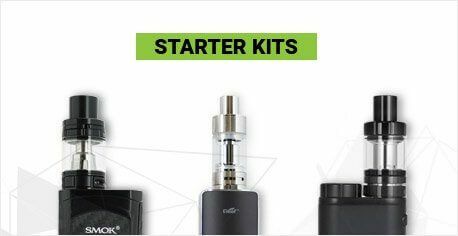 Accessories Inside the box you’ll find: -	The Firefly 2 Vaporizer -	1 spare battery -	2 cleaning wipes -	1 cleaning brush -	2 stirring tools -	3 concentrate pads -	1 usb charging cable -	1 charging dock Preparation The first thing you’ll want to do with the unit is sterilize it. To do that press and hold both touch sensors on either side of the unit to begin heating. The green light will begin flashing to show the unit is heating and then turn to a solid green. 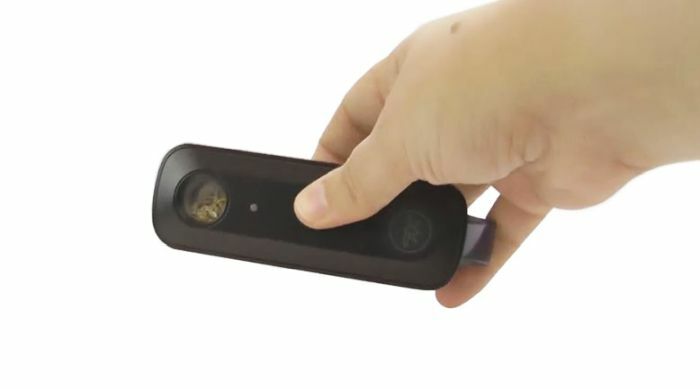 A heating cycle on the firefly 2 lasts about 30 seconds and then the device will turn off to ensure it does not overheat and to preserve battery life. Repeat this step 2 more times to complete the sterilization. This will get rid of any of the manufacturing oils that may have gotten inside the unit as a result of putting it together. Get started Once you’ve done that, you’re ready to load your unit with freshly ground botanical. To grind up your botanical we always recommend using the ZEUS bolt grinder. The bolt grinder has been calibrated to grind up your botanical to the perfect consistency for vaporization. That means its fine enough to be properly vaporized inside of your unit, but not so fine that it fly’s through screens. To load your unit, remove the magnetic top to expose the heating chamber. Using your ZEUS scoop or your fingers load freshly ground botanical into the heading chamber. 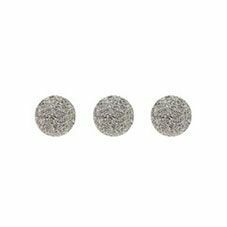 If you are using concentrates, place a concentrate pad in the heating chamber and apply your concentrates directly to the mesh pad. 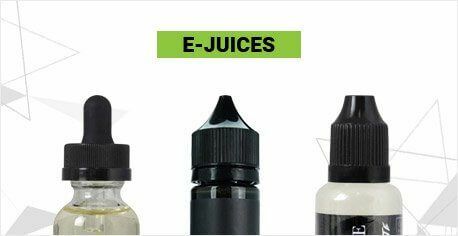 Snap the magnetic lid back into place and you are ready to vaporize! Temperature 1. In order to access the Firefly 2’s heat settings you will need to download the Firefly App from either the Google Play store or Apple Store. To connect the unit to your phone ensure that Bluetooth is enabled, press the 2 sensor buttons on your firefly to ensure it is awake, and then go to the app. Your Firefly will appear in the devices list where you can connect to your unit. Once connected you can begin to customize your temperatures. 2. The Firefly 2 features 6 different heating profiles which you can select through the app. Low is 171C, Medium Low is 182C, Medium is 193C, Medium high is 204C, High is 215C and the concentrate mode is set at 260C. We must stress that concentrate mode is for concentrates only and will cause combustion when used with dry herbs. When you select the temperature on the app the light on the unit will flash red to indicate the setting has been changed. 3. 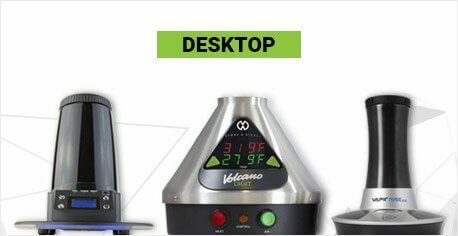 Once your desired temperature is set and your unit has been loaded you are ready to start vaporizing. Just press both sensor buttons, wait for the light to turn solid green and then take long, slow draws. This device heats almost instantly to provide on-demand vapor. Features To wrap this unit up, I’d like to tell you guys about some of the key features of the Firefly 2 that make it such a stellar unit. (On Demand Heating) With the Firefly 2 waiting for your device to heat up is a thing of the past and this vaporizer is one of the first units to provide almost instantaneous vapor at a press of the button. This means you can quickly get sessions in and since the heat is on-demand you can stop vaporizing whenever you like and come back to finish your session later making the Firefly 2 highly efficient. 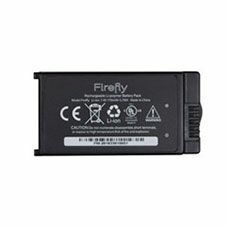 ( Removeable Battery ) The second is the Firefly 2’s removable battery. This unit comes with 2 removeable batteries to extend the time between charges. Once one battery dies you can easily swap to your spare to continue your session. This is great for people who are on the go and may not have easy access to a power source to keep their unit charged during the day. ( Firefly App) The third is the Firefly 2’s mobile app. This app allows you to see the current charge level, change the name of your device, change which buttons activate the device and change your heating profiles, adding further customization to your sessions. 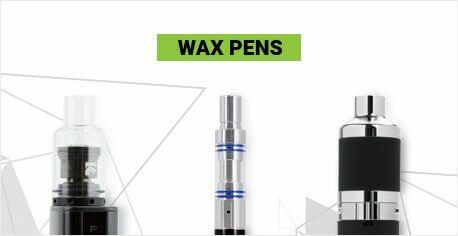 The app also allows your to switch into concentrate modes for a great session with waxes or concentrates. It truly puts the power of the Firefly 2 at your fingertips. 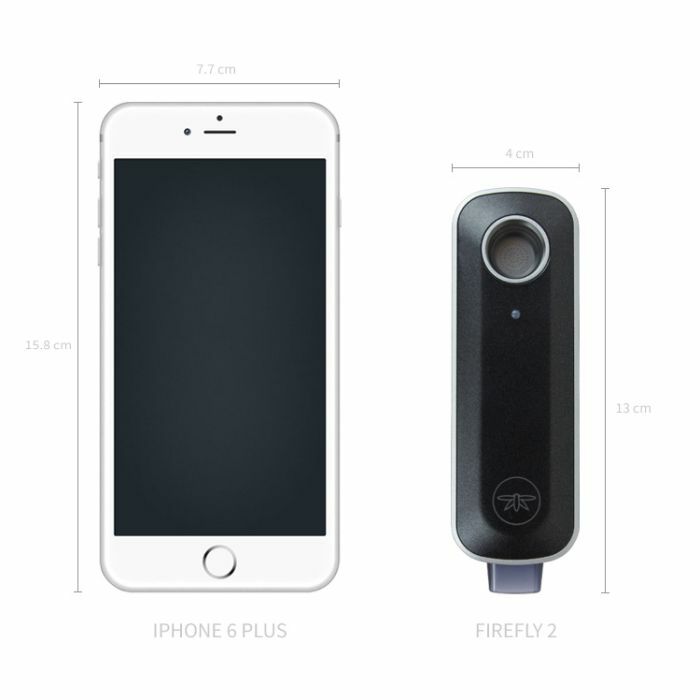 The Firefly 2 is an excellent unit for those looking for a top-tiered, on-demand convection vaporizer that offers customization through the included app to offer efficient, satisfying vapor for herbs and concentrates alike. I’m Sarah for TVape TV. We hope you enjoyed this video and for all you connoisseurs out there, keep vapin! What’s up guys, this is Mike for TVape TV. Great choice getting the Firefly 2! Let’s go over some quick cleaning tips to ensure you get tasty vapour with this unit, every time. First, we’ll go over the materials you’ll need, then we’ll get into cleaning and maintenance. 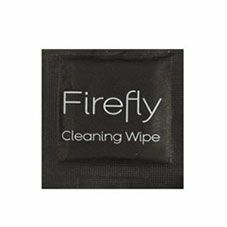 The Firefly 2 is really easy to clean; all you need to do is care for the heating chamber, vapour path and mouthpiece. Before you start cleaning, be sure to remove the battery and ensure that the unit is no hotter than room temperature. To clean the heating chamber, use your cleaning pick or ZEUS bristle pipe cleaner to remove any particulate matter, and then wipe it down with your cleaning wipe or ZEUS grime wipe. Make sure not to use your unit until the chamber is completely dry. For the vapour path, use another cleaning wipe or ZEUS Grime wipe to clean the surface of the chasis and lid. 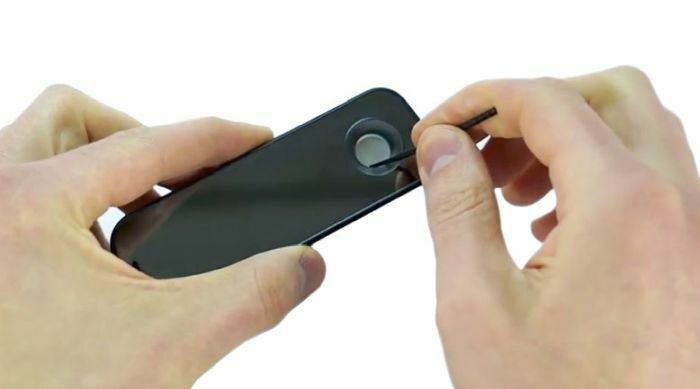 Avoid wiping the silicon gasket on the lid, as it is very delicate. You can clean the mouthpiece by gently wiggling it out of the body of the Firefly 2. 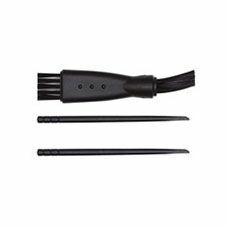 Then use your cleaning pick or ZEUS Bristle Pipe Cleaner to remove any remaining particulate. To put the mouthpiece back on, gently wiggle it back into place until you feel it click. For best care, we recommend you brush out your heating chamber after each use with your Firefly 2 cleaning brush. This’ll help get out any extra particles and prep your unit for your next session. And that’s it! We hope you enjoy your Firefly 2 and thanks for watching! If you have any questions, don’t hesitate to give us a shout. Cheers and as always, keep vapin’! I can't draw any air through the unit when the unit is sealed. I've tried everything. Don't waste your money! Overall I love this vaporizer. 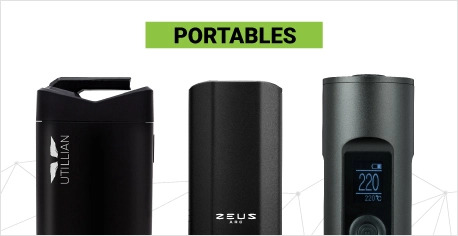 I already own many including the Mighty, Zeus Smite, and Arizer to name a few. Love how quick this is. After reading others tips I did not find any problems using this or having a long learning curve. Nice vapor cloud, very clean and tasty draw. Best thing is the ease to clean this compared to something like my Mighty. I agree that you need to stir the bowl here and there but nothing that would take away from the value of this vape. I'd had my eye on this vaporizer for a long time. I'd always wanted a portable on-demand convection vaporizer with a removable battery and the Firefly 2 is the best one on the market in my opinion. My first vaporizer was a Utillian 420 and I was happy with it but I found that the vapour was quite harsh at higher temperatures and I didn't like the fact that it was a session vape, baking my herb for 5 minutes at a time which translates into it being wasted. With the FF2 the vapour is cool and smooth, no matter what temperature setting I use and my herb is only heated while I keep my fingers on the sensors. I also love the app which makes changing settings a breeze. and 3) start my session at 205C for the first 5 draws, stir it, take another 5 draws at 210C, stir it again, and finish it off with another 5 draws at 215C. At this point my herb and I are both thoroughly baked, although I noticed that my herb never gets as dark as with my Utillian 420. I clean my FF2 after each session and put it on the charging dock so I never have to worry about running out of juice. But if I do, I just swap the batteries and I'm good to go. I love the fact that it comes with two batteries. I'm a little concerned that the carrying case that was sent for free with it might be a little too tight and might be putting constant pressure on the device so I don't zip it up all the way. An improvement I would like to see is having the option to turn the device off to avoid unintentionally activating it (through the app would be fine). DO NOT BUY the FIREFLY 2. It is riddled with problems. I have been wanting to make a post about this for a while but I have been too lazy. My frustration with that thing.... is beyond words. I got it as a birthday gift and I was super excited to try it. At first, I really liked using it with herb and the app was cool. Taste was awesome, best I have ever tried tbh. I have an arizer air and this was supposed to be a wax/convection on demand vape for home. So what went wrong? 1.) You pay a premium price of $500+ and they dont even bother to give you a power supply, just the USB. You need to go out of your way to find a wall adapter to charge it. 2.) It is annoying as hell to clean, I have no idea why it is advertised that it's the easiest vape to clean. In fact if you don't clean it every session the magnetic seal wont close properly. You are essentially forced to use an alcohol wipe every couple of sessions. With the air, I clean the glass piece and the vape every month. Not only that, but also the magnetic seal they used, starts to come off very fast, I do not see it lasting long before it breaks. They only give you a two year warranty as well. 3.) It is not discreet and very fragile, if it drops you will feel bad because A. it is expensive and the face plate will crack B. it is a really good looking device. Forget about using it on the go though, outside it is way too awkward to hold and changing temps with the app on the go isn't the best, this is more for a home use device. 4.) I cannot emphasize the disaster of the company deciding to put the touch buttons to activate the heater at the EXACT location of the heater. Get used to your hands getting super hot because after a couple of sessions the device gets very WARM and isn't fun to hold. 5.) Which brings me to my last point. I HAVE already shipped the device back TWICE for the same problem. Those stupid microholes they cut with the laser in the oven, get clogged so fast from wax and concentrates. Eventually the device got clogged and I had to send it back to get the whole oven replaced. How did they not think of this.. 6.) WAX sessions, you are soo LIMITED, this device GETS INSANELY hot and is so crappy to hold and use. All the time it "overheats" and you have to stop using it (red light comes on). I have had my arizer air for so much longer and I have never had a single issue with it, not one.. No heat distribution problems etc. I would stay far away from the firefly 2, ESPECIALLY because it was WAYYYYYYYYYYYY too expensive for all the problems I faced in the little time I had it. Currently waiting to get a refund I sent it back for the third time I had enough. The holes just keep clogging when you use it too much for concentrates, its inevitable, huge design flaw. not only that but two year warranty etc.. It has nothing to do with the "learning curve" I was getting huge hits off this thing, in fact I mastered it fairly fast. Edit*: I just wanted to add, that when it DID work with wax/concentrates it was stellar, honestly VERY efficient, very clean taste. It's a shame that points 4,5,6 ruin the device completely. Likes: Glass pathway and smooth tasty vapour. Better build quality than Crafty. On heat-demand. Removable battery. Can change temp on unit itself. Herb window is cool. Dislikes: Hugely expensive. Battery life is atrocious, and discreetness is nil (you look like a teenager hitting a bowl). Bulky charging dock. Have to stir herb halfway through session. I bought the FF2 locally about a month ago, and I'm not 100% convinced as to the wisdom of this purchase. Vapour tastes very good for the first few draws (at lower temp setting, anyway) but is never very dense, in those conditions. Even then, my herb scorches at the bottom if I don't take it out and stir it every 3-4 draws as recommended in the user manual, which takes away both discreetness and usability points. And the vapour just isn't that thick or satisfying most of the time, unless I fire it up for multiple consecutive draws. I usually reach about 4 draws until the buttons become too hot to hold: then you can swap fingers but the unit usually overheats at this point anyway (even in cool 10-15C climate) and I have to set it down for a few minutes. This multiple-hit technique is the only way I get dense vapour from it. You can't use it with gloves on because the touch buttons require skin contact. And it's just not as discreet as the PAX2/3 or Crafty are. The battery is only 28.5% of the capacity of the Crafty, at 770mAh vs. 2700mAh respectively, and surprisingly has only slightly less stamina than the Crafty. The only advantage to this is that you'll get 3.5x more charges (at least in theory) from the same USB power bank (or quicker solar charging? ), if you ever take this thing off-grid for a few days at a time. And TVape, I love you guys, even though you told me on the phone that you couldn't change the temperature on-unit and had to use the app. Fortunately, this is not true, but you really have to know how to go about it (secret button sequences!). This is my third vape, after an arizer extreme and an ascent, this is by far my favorite. It takes a bit to master the light breath inhale, but worth the effort. No wasted herb means the unit paid for itself with the savings. Really discrete, if you need to see a huge cloud to believe its happening, don't get this vape, if you need to sneak a hit in a public space, this is it. My biggest complaint is having to charge the battery in the unit, but that will be changed when I can get the battery charger. This is my third vape, after an Arizer Extreme Q and an Ascent, this is by far my favorite. It takes a bit to master the light breath inhale, but worth the effort. No wasted herb means the unit paid for itself with the savings. Really discrete. If you need to see a huge cloud to believe its happening, don't get this vape. If you need to sneak a hit in a public space, this is it. My biggest complaint is having to charge the battery in the unit, but that will be changed when I can get the battery charger. I'm not sure why, but even on the low setting, this vapourizer occasionally scorches my herb! Overheating? Nicely constructed and solid feeling, but it doesn't heat evenly. The Crafty, which I have ragged because of plastics that fall apart....has the best, most evenly heated chamber I've ever used....with excellent vape quality....if they could just make their construction more durable. I love this thing. It's so easy to use and clean. It wastes nothing and the on demand heat means you can use as little or as much as you want. Amazing. 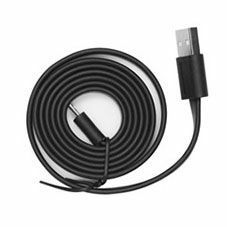 Do some research before you buy this device. There is a learning curve that can put some people off but once you know how to use it properly, it's second to none. This is my 3rd vape, the battery life is at best sub par. i can only get maybe 2 full sessions. the taste quality is excellent. the convieniance factor is also top notch. I gave up on the vape and went back to my Utillian 720. for the amount of money, very disappointed! Worked great for a week! Expensive Yes - But VERY Nice! I have owned this vaporizer for approximately 5 months now. It is very well made & designed. You can see and feel the quality. Very Apple like packaging. 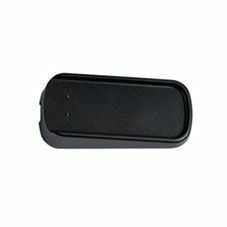 Connects to your phone by bluetooth. Smart and discrete looking. I don't regret this purchase. It's not cheap, but I'd be shocked if you don't love this vape. It's modern, compact, and extremely well built! The added feature of the app, is really cool. It takes some time to get use to using, however once you pick up the technique you will love the flavour and quality! You only need pack .2 (at the most) and what's best about this vape is that the herb only vaperzies when you pull. I have found that this allows your herbs to last much, much longer, and for the individual that wants to have a couple pulls here and there, it doesn't require you to burn the entire bowl all in one session. This is my 3rd vape, I have owned the Ascent, and currently own Exterem-Q, this Firefly 2 is my run away favourite! This is a revolution!! Such an efficient machine! I'm getting clouds within seconds and the flavor is out of this world. This is a very special device. Beautiful, feels great. 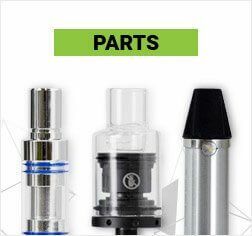 all glass vapor path, really easy to clean too. My only complain is the charging. They give you an extra battery but you can't charge the battery while using the device! !